Hello again, friends! 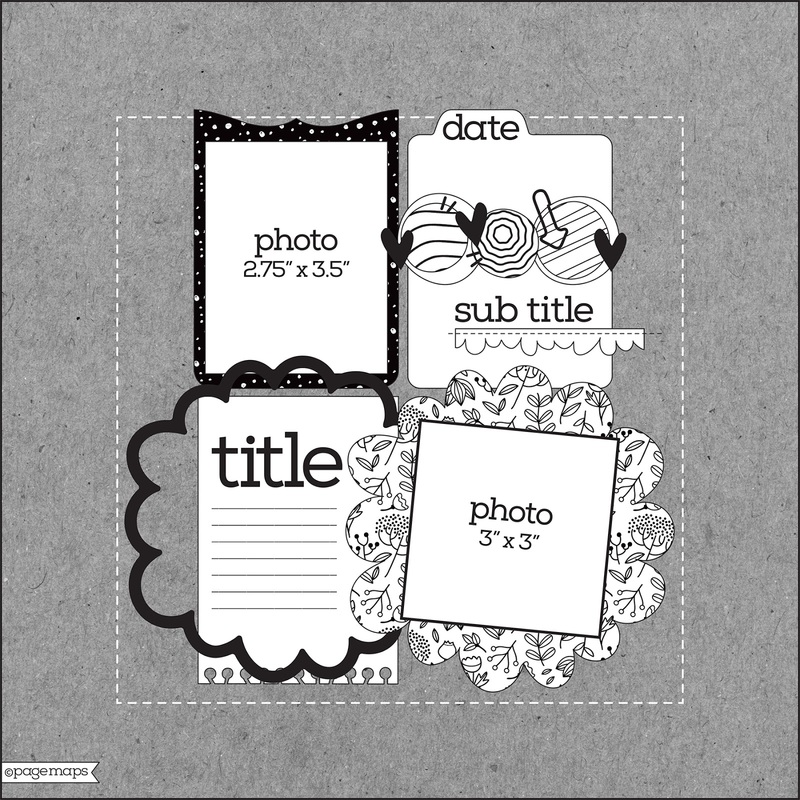 I'm very excited about being the August Guest Designer over at Page Maps! I've followed Becky Fleck and her amazing sketches for years. I have a few of her sketch books, and using her sketches is how I got started with scrapbooking. I chose this fun grid sketch to work with, and it helped me create a design I probably otherwise wouldn't have made. Thanks to Becky for having me! I used some of my older stash for this page. I dug through a few of my Hip Kit Club leftovers from last summer and found a few Project Life cards and patterned papers to begin with. I wanted to follow the sketch as closely as possible, so I wanted to keep the journaling spot in the lower left. I found a lined PL card and used a blue frame over it. Instead of using the scalloped circles in the sketch, I created some palm fronds. Our patio has a lot of palm trees, and since the photos are of my girls on our patio, they were perfect. I believe this frame is from Vicki Boutin as well as the ampersand. I liked how it looked here on the side, so I kept it there and stitched through it. I also added a little subtitle sticker here from Vicki as well. I cut these palm fronds on my Cameo on white cardstock. They are from an exclusive Hip Kit Club cut file from last summer. I used a few shades of Shimmerz to color them, and then I tucked them behind the photo. 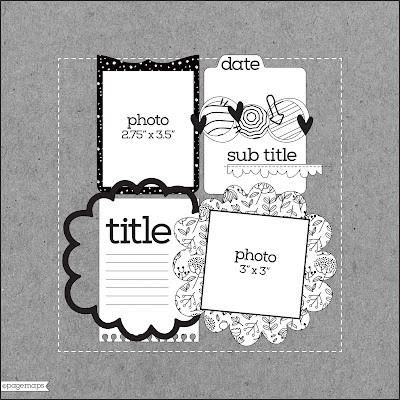 More Vicki Boutin die cuts tucked in behind this photo as well as another fussy cut Crate Paper flower. I did machine stitch around the perimeter, just like in the sketch. Of course I had to add some gold Color Shine! Here you can see the dimension from all the pieces. I added adhesive foam under each section to raise it up off the paper.